Sticky amyloid plaques start showing up as much as 25 years prior to Alzheimer’s symptoms. Elevated levels of tau appear 15 years before Alzheimer’s symptoms. In other words, chances are good that these processes are already occurring in your brain. However, it doesn’t mean you’re doomed to memory loss and other cognitive problems. But don’t count on Big Pharma to save you. 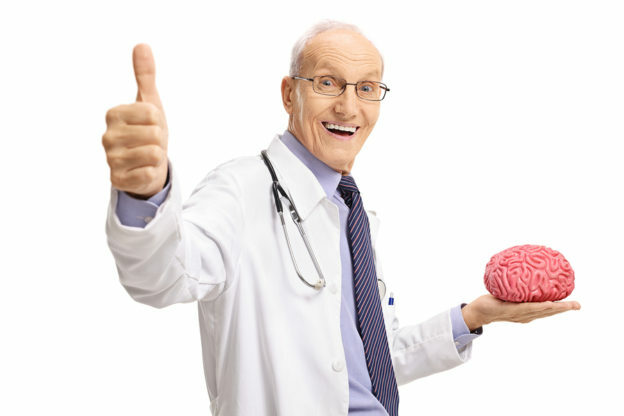 Big Pharma is hard at work trying to develop Alzheimer’s drugs. The concept is simple. If they can make a drug that clears out amyloid plaque from the brain, it should cure the disease. Well, if I were you I wouldn’t hold my breath waiting for one of these drugs to come save you. Clearing amyloid doesn’t work. In fact, when Eli Lily created a drug to kill off this plaque, the patient’s mental health deteriorated much more quickly! It turns out amyloid plaques may be a part of your body’s natural immune response against infection. In other words, these plaques are actually trying to protect the brain from an infectious agent – such as a bacteria or virus. This is why killing off the plaque can worsen the condition instead of improving it. Now there’s nothing you can do to remove dormant Alzheimer’s-causing microbes like herpes simplex virus type 1 (HSV1 – the “cold sore” virus) and Chlamydia pneumoniae from your body. But that doesn’t mean you’re doomed to memory loss and other cognitive problems. It turns out that people who have more cognitive reserves (larger brain sizes and stronger neuronal connections) are less likely to develop Alzheimer’s disease, even if they have biomarkers for it. Some research even suggests cognitive reserves can prevent the cascade leading to Alzheimer’s in the first place. This makes it extremely important to do everything you can to start boosting your brainpower and building up these reserves as soon as you can. Stimulate your brain to strengthen neuronal connections. Simple ways to do this include learning a new skill, playing brain games, taking up a foreign language or learning to play musical instrument. Take the road less traveled. It might not sound like much, but even varying your routes every day can help stimulate your brain. Take a different route every time you go to the grocery store or doctor. Vary the path you take on your evening walks. Travel to someplace you’ve never been before and spend plenty of time exploring the area. Work on your weaknesses. If you always do things you’re good at, you never give your brain the chance to flex its muscle-power. So consciously look for things that you’re not at ease doing or just bad at, and then take the time to learn them… never underestimate the feeling and the real and measure-able improvement accompanying some achievement. It can be as simple as learning how to cook like a top chef or as difficult as mastering the art of photo or video editing. New thinking necessitates new neuronal networks. Stay socially active. People who are socially isolated tend to lose mental connections much more quickly than those who are active. So make efforts to spend time with anyone who can challenge your brain with new ideas and concepts. This is a fun way to learn new things while helping your brain build new connections and memories. Get plenty of exercise every day. A good workout can nourish your neurons, decrease beta amyloid plaques and increase the size your brain’s hippocampus. All of these are necessary for a fully functioning brain. Bateman RJ, Xiong C, Benzinger TL, et al. Clinical and biomarker changes in dominantly inherited Alzheimer’s disease. N Engl J Med. 2012 Aug 30;367(9):795-804. Lo RY, et al. Effect of cognitive reserve markers on Alzheimer pathologic progression. Alzheimer Dis Assoc Disord. 2013 Oct-Dec;27(4):343-50.